We have had our pressure cooker for a few weeks now, and I have been having a lot of fun testing out various recipes in it. One of our new favorites is a root beer pulled pork recipe that was originally for the slow cooker, but I converted it to be used in the pressure cooker. It worked perfectly, and we had a nice juicy plate of pulled pork available for sandwiches. Check out the full recipe for the root beer pulled pork pressure cooker recipe below, and let me know in the comments what you thought if you try to make it! 1. Set your pressure cooker to saute, cut the pork tenderloin into chunks and saute to brown them in a drizzle of olive oil. 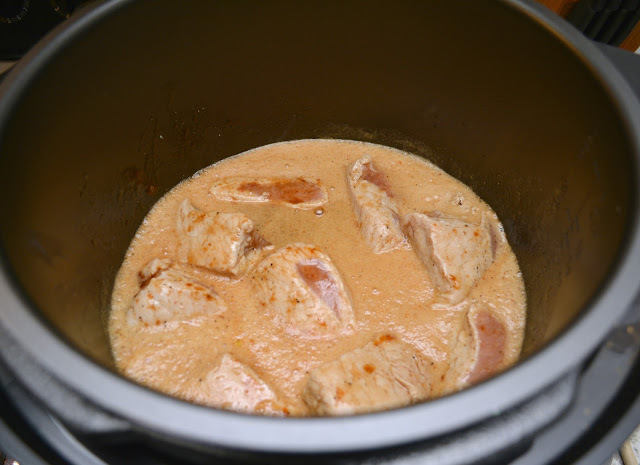 We ended up using 2 pork tenderloins for our family, which is why you see more pork in the photos. 2. 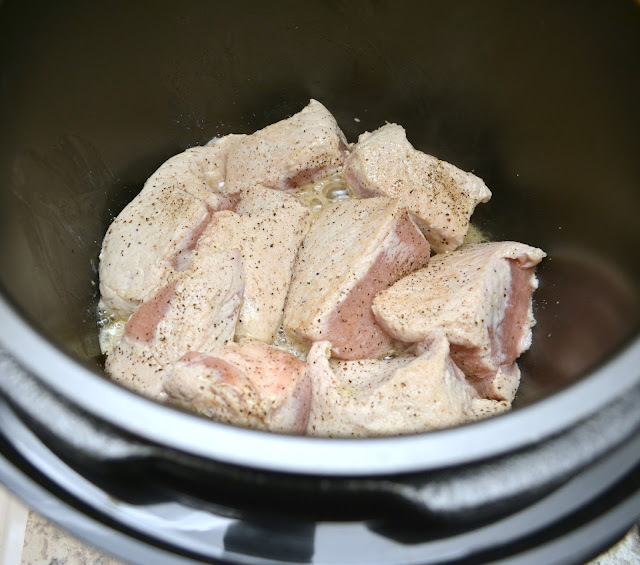 Add salt and pepper to taste to your pork tenderloin as it sautes in the pressure cooker. 3. 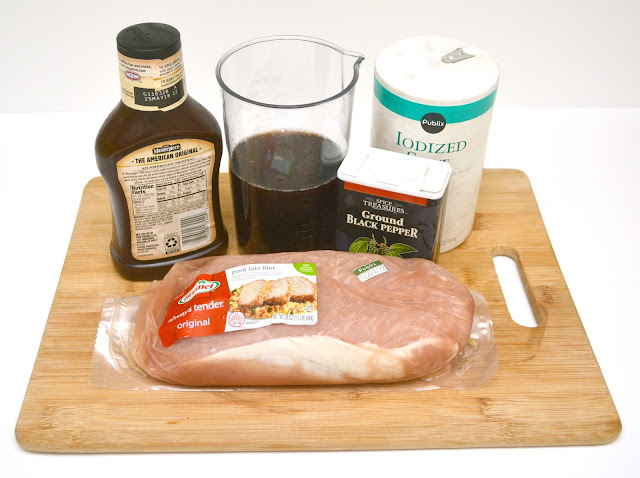 Pour in 12 ounces of root beer and 1 cup of your favorite BBQ sauce to the pressure cooker, stir, and then close the lid, making sure the pressure valve is turned to airtight. 4. 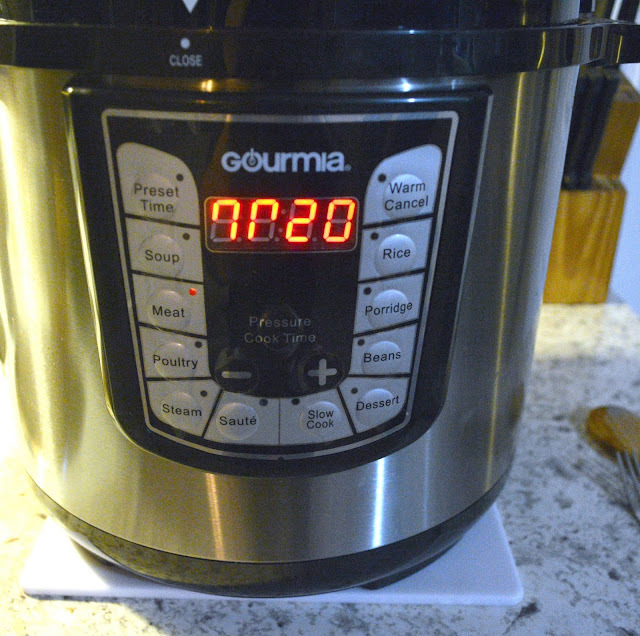 Set the pressure cooker to the meat setting for 20 minutes. 5. When done, you can allow for a natural release or do a quick release. 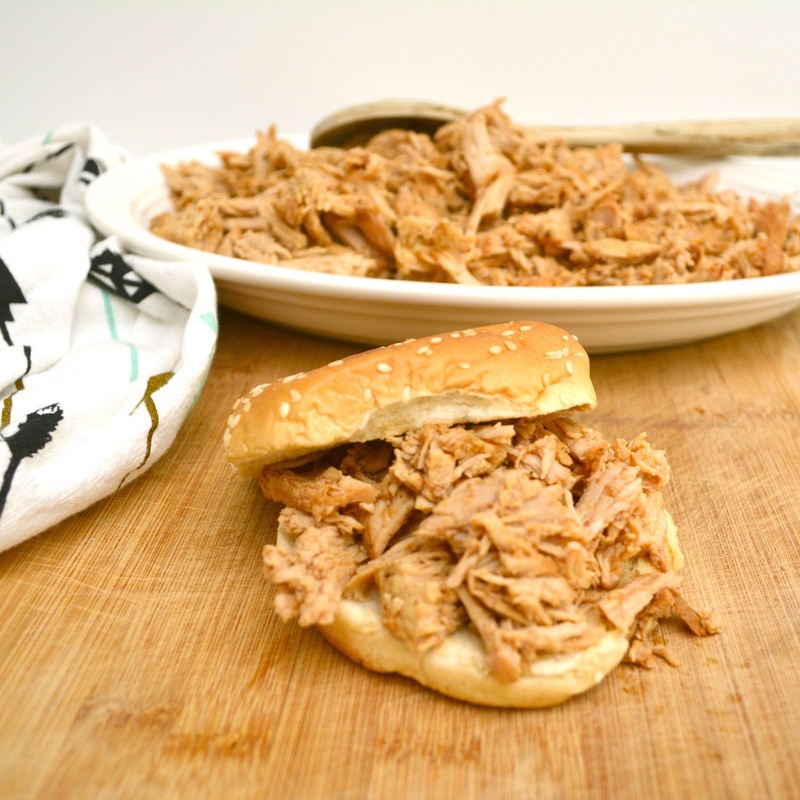 Remove the pork pieces and shred with a fork. 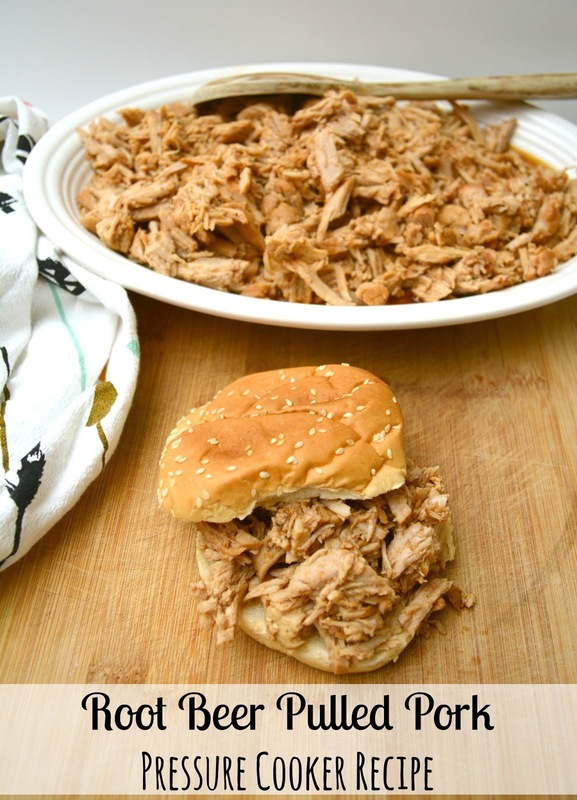 Have you tried this or another root beer pulled pork pressure cooker recipe? If so, share how it went below. Want to share this recipe with others? Use the handy Pinterest, Twitter or Facebook share buttons below!